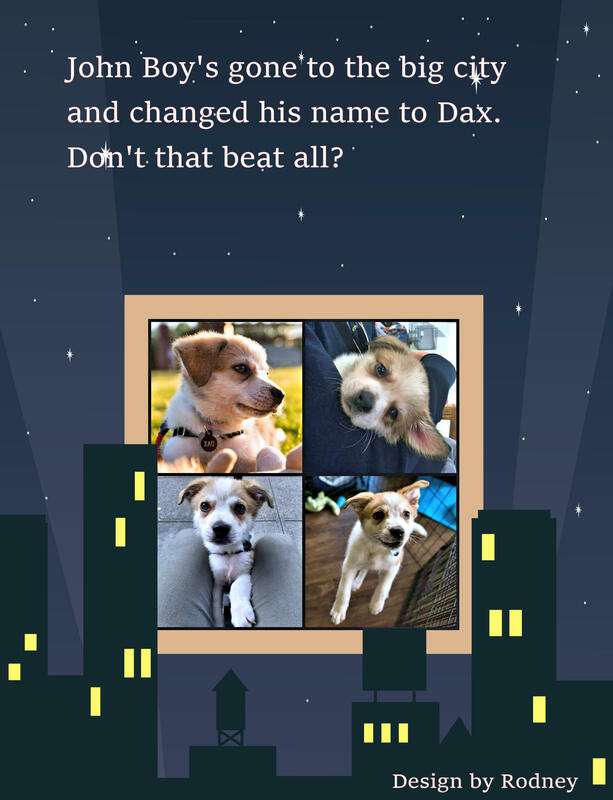 John Boy, one of the seven puppies named after members of the Walton Family, is now known as Dax. In early April, we drove all the way from Seattle to adopt him after falling in love with his PetFinder profile the night before. He’s now doing wonderfully in his new forever home! He loves running around Seattle parks and being the center of attention of all of our neighbors. We love him so much! Attached are a few pictures we’ve taken since we adopted him; he’s grown so quickly! We just wanted to say thank you for giving us the opportunity to adopt Dax into our home! Thanks, Melissa! These updates are like a little pep pill. Knowing that one of our wards has settled into their home-for-life and is doing well makes me smile and swell with joy. I’m sure other volunteers feels the same.